How Is Russia Represented in the Arts? Before you begin working your way to foreign language fluency, it helps to understand the culture behind the language you’re learning. After all, language exists to help a group of people express their ideas and beliefs. Russia is a vast country with a rich history and culture. As you begin your Russian language program, gaining a strong grasp on this history, the values, and the etiquette will help you rapidly achieve success. In particular, Russians have a particular passion for the arts. Russian theater – “русскийтеатр” – is still alive and thriving today. From the classics to the contemporary, the theater continues to express the Russian soul in both traditional and innovative ways. From the Moscow art theater to basement studios with several rows of seats, theaters throughout Russia are still eagerly attended. The most famous theater and ballet stage is “Мариинскийтеатр,” named for the Russian Empress МарияАлександровна. It has historically been the largest and grandest theater, and is the home of William Forsythe’s “Sleeping Beauty”(“Спящаякрасавица”) and original cyberpunk ballets. The founding of “Александринскийтеатр” on August 30, 1756 is considered the beginning of professional theater in Russia. “Александринка,” what it is often called, was founded by the Empress Elizabeth and is still considered the ‘theater of masters’, where the highest rated talent in Russia comes to perform. If you are going to visit one of Russia’s exquisite theaters, keep in mind that there are usually several plays in a theater’s repertoire at a time, and many of them require tickets to be purchased well in advance. Among some Westerners, their view of Russians is that they are not particularly smart. That might come as a shock to people who keep track of things like who is tracking something in the publishing business. It turns out that in 2006, Russia became the fourth largest publishing market in the world. Publishing is also one of the top five sectors of growth in the Russian economy. It turns out that Russians are voracious readers and that doesn’t just mean books. The Russian people love to read magazines and newspapers as well. The only thing the people of Russia love to do more than reading, is to talk about the thing they just read. Go to a Russian coffee shop and you are going to overhear rather loud conversations about philosophy and the most recent books to hit the market. You will also hear talk about what texts were just read in classes and what they think that means for their classes moving forward. Perhaps the only thing Russians take more pride in than what they read, is how well they are doing academically. Russians believe the progress of their children is part of their duties here on earth. They want to make sure that their kids are learning and progressing in school. When they do find that their kids are doing well with a certain subject matter, they are going to make sure their friends and family know about the accomplishments of those children. If you are a lover of art, history, and culture, Russia can be a great country to visit as it boasts an impressive collection of museums, galleries, and art auctions. This stems from a deep, cultural appreciation of art. An anonymous art collector recently stated: “we Russians need to feed our souls.” International art auctions boasting Russian pieces can draw record bids, often from private Russian art collectors, and occasionally from Russian museums as well. Art galleries and museums in Russia display both national artists and works, as well as stunning international pieces. If you are interested in Dutch paintings, “Эрмитаж” (the Hermitage) in Saint Petersburg holds the world’s largest collection. Also found there are impressionist paintings, silver, and Russian art pieces. The Hermitage is so large, guidebooks claim a person would need to visit there every single day for three years to see everything. 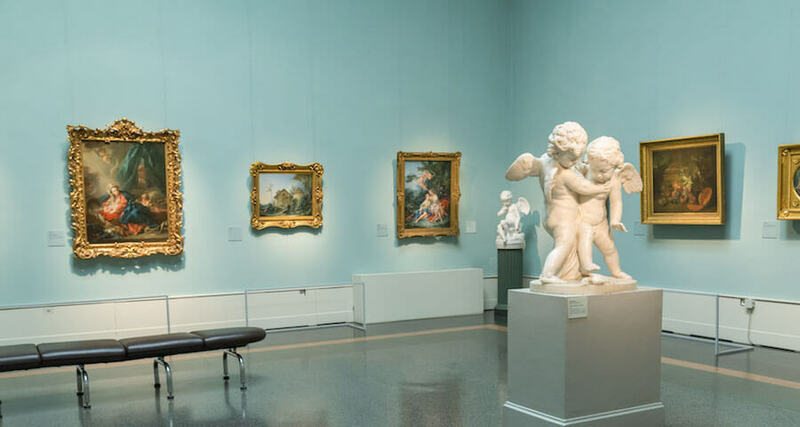 Further stops for the art-loving visitor should include “Третьяковскаягалерея”(the Tretyakov Gallery) and “МузейПушкина” (the Pushkin Museum) in Moscow, which offer unique collections of Russian art. “МосковскийКремль,” the Kremlin Museum, just celebrated its bicentennial, and is a great place to wander through if you want to see the country’s history unfold through gold artifacts, armor, state regalia, and manuscripts. While you are within the Kremlin’s walls, make sure you also check out “Царь-колокол” (the Tsar Bell) and “Царь-пушка” (the Tsar Cannon) in “Ивановскаяплощадь” (Ivan Square). Both are a sight to behold as, in true Russian tradition, they were cast to be the largest in the world, though ironically neither was ever used. Music is an integral part of Russian culture, and is a true reflection of the Russian soul; passionate, melancholic, and melodic, it embraces folk songs, Byzantine choral chanting, Eastern motifs, and Western harmony. It is a true amalgamation of styles which reflects the evolving nature of contemporary Russian culture. There are plenty of places in Russia where one can hear this music, from church services to culture halls. Some places like БольшойТеатр combine music with acting, a practice which plays an important role in the preservation and growth of Russian music. Famous concert halls include the Tchaikovsky Conservatory (КонсерваторияимениЧайковского) and the Izvestiya Hall (ИзвестияHall) in Moscow. The State Kremlin Palace (ГосударственныйКремлёвскийдворец) is also one of the biggest theatrical musical stages in Russia. Music festivals, while not as prestigious or refined as a grand theater, are one of the best places to experience Russian music. While a music hall will expose you to some of Russia’s famous classical works, music festivals are a window in the music that is integral to the part of Russian society that evolved from farms and the peasant lifestyle. Among these musical, cultural events is the White Nights Festival in Saint Petersburg (Фестиваль “БелыеночиСанкт-Петербурга”), which is unique in its combination of opera, ballet, and classical music with the magic of northern June, when night slips into day in one long, ethereal twilight. If you are a music lover or wish to experience a uniquely beautiful piece of Russian culture, this is one event you will not want to miss. If you want to learn how to be frugal, go shopping with a Russian, particularly a Russian woman. Women all around the world have a reputation for impulsive shopping, overspending, using credit cards and falling for a good sale. Russian women don’t really fit the mold. They will shop but rarely do they make “selfish” purchases. They are mainly buying with the family in mind. Russian women usually have the responsibility of shopping for the family, so they can be seen buying items like food, household goods and clothing for the family. They are keen on value, but this does not mean they are subject to purchasing expensive brands. They know the difference between the two and often shop knowing the price range of what they will buy before purchasing it. Russian women love style, but this does not mean they are extravagant. Russians in general shop to get what they need, and they don’t spend excessive amounts of time in town. One English tourist visiting Moscow claimed, “I know now why Russians don’t smile on the streets. Everybody is on a mission. They concentrate on what they have to do.” Russians know that they have many obligations, such as getting to work on time, taking the kids to school and picking them up, and completing all the household shopping.